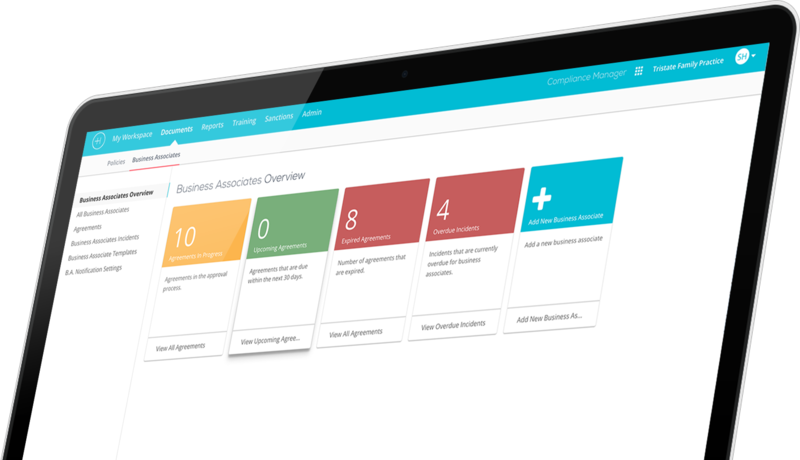 Featuring a customizable workspace, AAPC-certified training, and real-time reporting, Compliance Manager will simplify your compliance challenges. 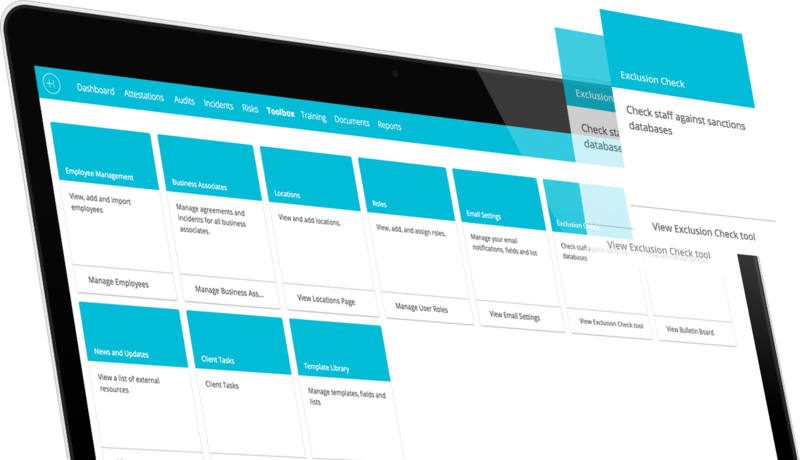 So whether you're training employees, conducting risk assessments, or investigating incidents, you can manage your entire program in one easy-to-use application. 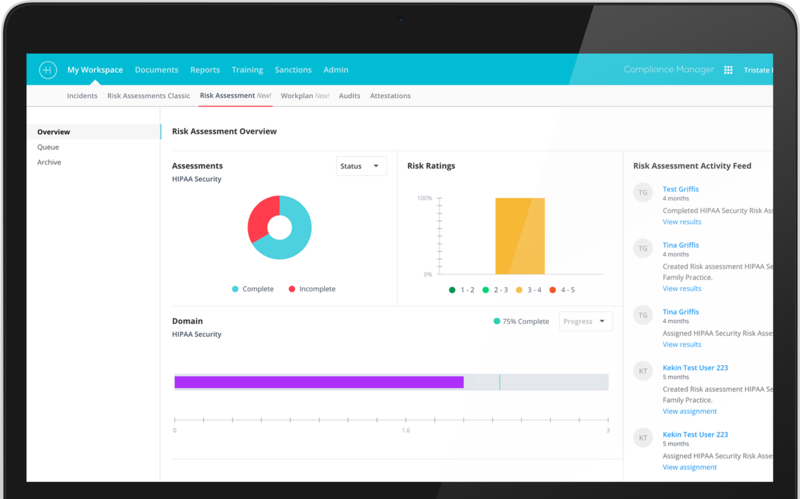 From incident monitoring to reporting and auditing, Compliance Manager has all the tools your compliance program requires. Managing a compliance program is complex. Compliance Manager will simplify your challenges and improve your effectiveness. With a built-in Learning Management System, you can train every one of your employees, from anywhere, at any time. Robust set of reporting tools to store and access all your documents. Administrators and users alike can create and access reports from anywhere. 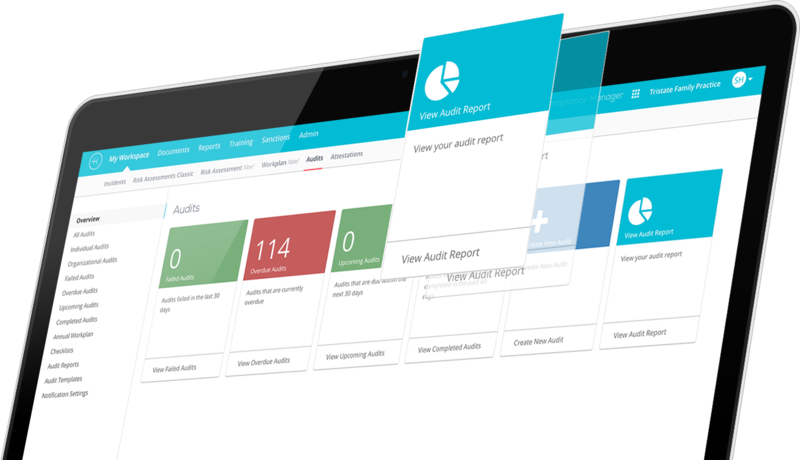 Automated tracking and management of internal or external audits to assist Compliance Officers in efficiently managing everything. 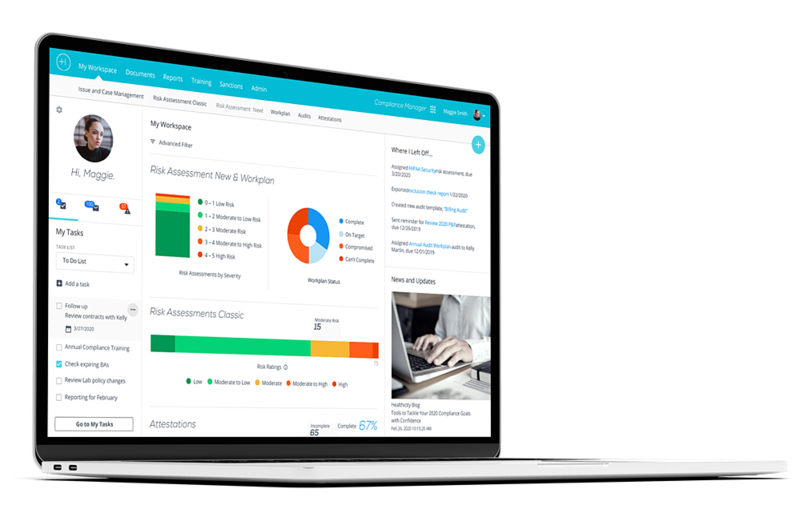 Comprehensive Risk Assessments are built right in, delivering meaningful, actionable workplans. Simplify the headache of HIPAA Privacy and Security with this easy to use module. Extensive incident management for documentation, tracking and investigation. Manage both internally and externally reported incidents. Effectively prevent fines and penalties from the OIG by monitoring your staff and vendors on all state and federal exclusions lists. 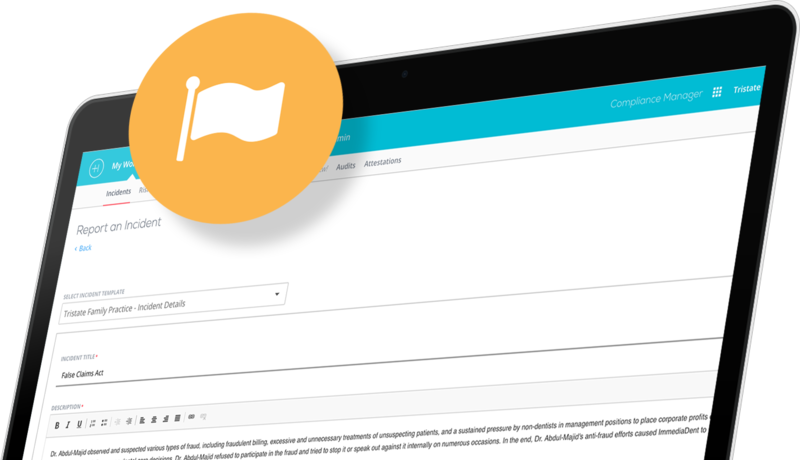 Quickly and easily manage your Business Associate Agreements for outside contractors, vendors and partners. Watch the on-demand video demo. Read how one healthcare organization, Equitas, modernized its compliance program with Compliance Manager in this Healthicity Customer Story. 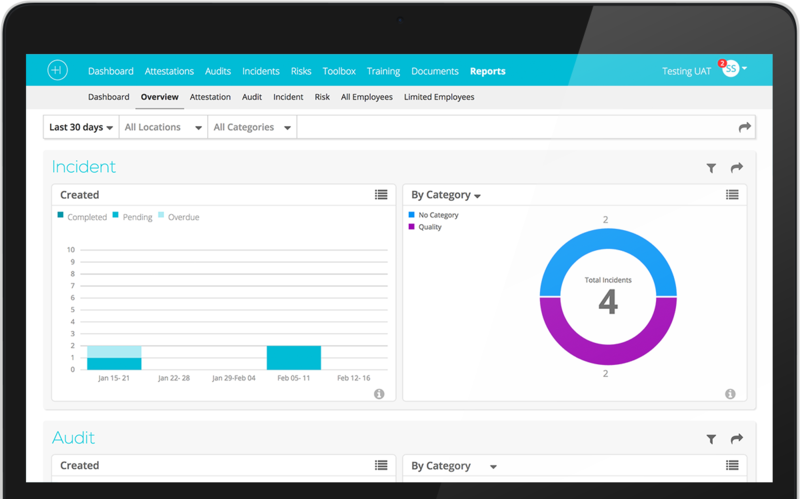 Meet the only total compliance management solution that will ensure your organization is compliance, even when audited. Leave the days of paper, filing cabinets and overflowing boxes behind you. Document every reported incident faster and more accurately. Compliance Manager offers an integrated, online Learning Management System (LMS) platform that allows for training anywhere, on any type of device.